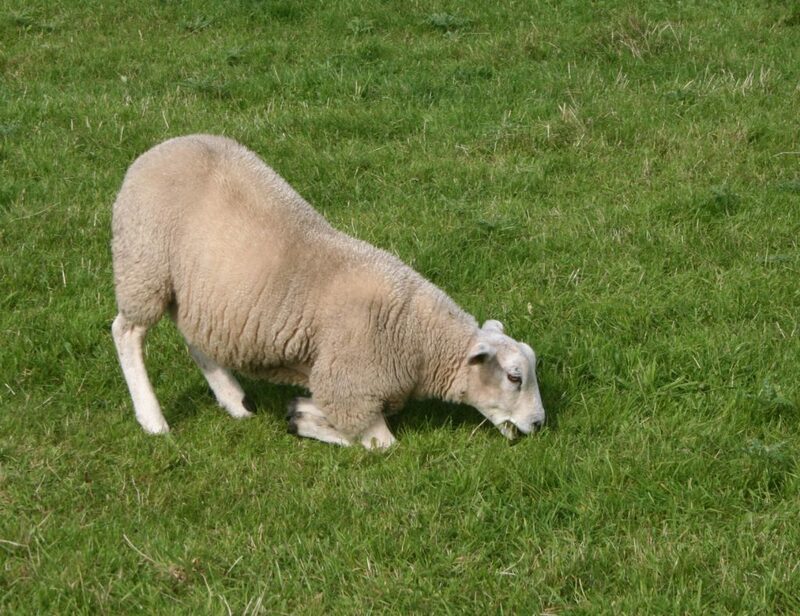 Tackling lameness in sheep has become a real priority in recent times and much research has been undertaken to determine the most effective ways to control and prevent it. Its importance within the industry has been highlighted by The Farm Animal Welfare Council, who have set a target to reduce the number of sheep treated, per flock per year, to 2% by 2021. There is also huge emphasis on reducing antibiotic use on farm; as lameness treatment is a significant contributor to this, farmers are being encouraged to tackle their lameness issues head on. Of course, in doing this, improvements should also be seen in other areas such as scanning percentages, ewe condition, lamb growth rates and ultimately animal welfare. The five-point plan was developed by combining previous research with real on farm experience and it has been widely adopted by the farming community in the last year. Lameness in your stock can be frustrating and demoralising, but the five-point plan can provide a fresh and simple way to reduce it, in both the short and long term. The five points work in synergy together and have 3 ultimate goals: build resilience, establish immunity and reduce the disease challenge. So where is the best place to start and how can you implement the plan on your farm? If you have a sudden lameness outbreak or having trouble getting on top of lame sheep, speak to your vet and have them out to look at some lame animals. In general, footrot has a characteristic foul smell. The lesions start as a reddening in between the digits (scald) before an underrunning of the horn is seen. CODD does not produce this characteristic smell, and the hoof wall tends to be lost from the outer coronary band. Use published guides from organisations such as AHDB Beef and Lamb Better returns to make more accurate decisions. When the cause of lameness is correctly identified, the points of the plan should be discussed with your vet to aid the implementation of changes that best suit your farm and type of lameness. Culling hard in the first couple of years of initiating the five-point plan should result in a lower lameness prevalence over the following years,so the culling rate for lameness should decrease again with time. If there is no current culling policy for lame animals then using a higher cut off e.g. three treatments in a season may still help. This approach relies on good recording and so tagging repeat offenders and marking the leg they are lame on at each treatment should be undertaken. The quarantine of incoming animals is particularly important, as purchased stock act as a significant source of many diseases including CODD and new strains of footrot. Ideally all animals are bought in from farms with low lameness levels and quarantined for at least 4 weeks. In this time, all cases of lameness are treated and new cases monitored for so that all animals are sound before mixing with the main flock. One option is to run new animals through a footbath (used according to the manufacturers guidelines) before turning them onto your isolation pasture. Treating clinical cases early has been shown to dramatically reduce lameness levels in a flock by strictly implementing this practice alone. This is because there is not only is there a greater chance of curing an animal but because it also reduces the time that lame animal acts as a reservoir of infection. Footrot is caused by the bacteria Dichelobacter nodosus and so antibiotics are the appropriate treatment. Lame animals should be treated within 3 days of identification (this is dependent on regular inspection) and they should not wait until the next management task. Animals with early footrot (scald) should have all four feet sprayed with oxytetracycline spray but more severe cases with underrun horn should be treated with a long acting injectable oxytetracycline. Most long acting preparations only last 2-3 days and so re-treatment after the appropriate time is fundamental to successful treatment. Ensure animals are dosed for the correct weight. Preventative and therapeutic foot trimming should not be undertaken as it has been shown to delay recovery. Isolation of repeat cases, especially at housing or after lambing, is advised to prevent spread to young lambs in particular. The use of “lame pen/field” closer to the farm aids treatment and monitoring of lame sheep. Footbathing is a very useful tool in treating a scald outbreak in lambs and for disinfecting the feet of incoming animals, as it kills the bacteria present on the surface of the foot. However, footbathing does not treat footrot and gathering infected animals with susceptible animals in a small space may cause more harm than good! If footbathing is carried out, all clinically lame animals should be separated and not run through the bath with the others. Have a think as to whether your handling system is mobile so it can be moved to clean underfoot areas each time it is used? Is thoroughly cleaned and disinfected in between uses? Lime be used in holding pens or around feed/water troughs to reduce bacterial load in areas of high traffic. When reviewing this plan for implementation on your own farm, it may be that there are already areas where your management is very strong and others that are more lax in terms of lameness control. The flexibility of this plan means that not all of the points need to be worked on at once, but used to identify those that are easier short-term goals or that need immediate attention. There is some commitment needed to reducing lameness using the five-point plan, as unfortunately there is no quick fix, however with persistence this approach can result in significant improvements in your flock. Emily Graduated from the University of Edinburgh in July 2015 and although originally from Berkshire, headed down to Devon for her first year in practice as a purely farm animal intern. Emily enjoys all areas of farm animal practice but especially enjoys preventative health planning for both diary and sheep clients. In her spare time she enjoys cricket, baking and walking in the country.